Ricky Martin: I want more babies! Ricky Martin wants “maybe three” daughters. 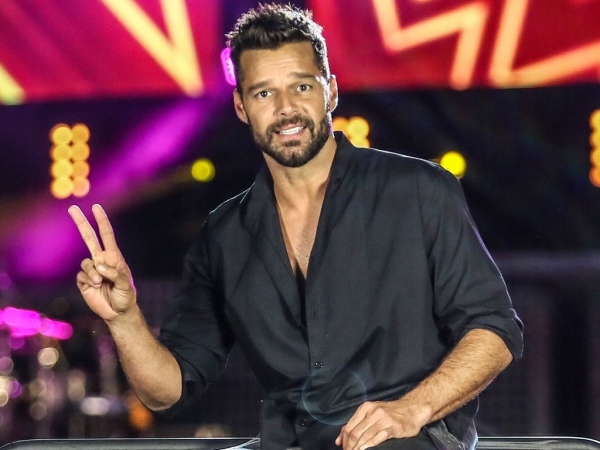 Ricky Martin wants “maybe three” daughters. The 42-year-old singer is father to six-year-old twin boys Matteo and Valentino, who were born via surrogate. He can’t get enough of parenthood and would love to add to his brood; something his kids would like too. Now his sons are getting older they have started to ask Ricky questions. Recently one of the tots quizzed him on whether he had been in Ricky’s tummy when he was a baby, with the Puerto Rican singer determined to be as truthful as possible with him. Ricky is gearing up for his new single Adios to hit the charts. It’s a fusion of Latin and French music and he’s sure his audience will love it. The star took the unusual step of releasing bits of the promo via his Twitter account, something he thinks other artists will do going forward. “It’s about uniting forces. And I would be the first act to release a video on Twitter. I’m very happy to be part of this movement, the social media movement is incredible,” he said.